Smart City or smart ideas: Where does Bhubaneswar stand today? Like most other cities in India, Bhubaneswar has two faces. One is as tinselly and bright as you would expect a fast-growing city to be. The other frowns with the strain and concentration of having to look good. Bhubaneswar was the first choice of the Ministry of Urban Development’s (MoUD) flagship Smart City project. A year later, it featured in the top 20 global cities of the world in the Global Smart City Performance Index 2017, according to a survey by UK-based Juniper Research. The city was a member of a list that included Singapore (that topped the list), San Francisco, London, New York, Barcelona, Berlin, Chicago, Portland and Tokyo! This year, it figured among the top 50 global smart cities in a survey by Singapore-based Eden Strategy Institute. It was also 18th in the national Ease of Living Index announced by the government in August, 2018. It based its assessment on the state’s governance and social, economic and physical infrastructure. So what makes Bhubaneswar smart? In the 4th Annual Sustainable Smart Cities India Conference organised by Nispana.com in September, Bhavin Sheth, Independent Director, Bhubaneswar Smart Cities Limited, explained that “(a) master system integrator, digital communication systems and advanced technologies” have all played crucial roles in the development and consequent recognition of the city. However, Bhubaneswar did not secure a spot in the India Smart Cities Award by the Ministry of Housing and Urban Development announced in June 2018. 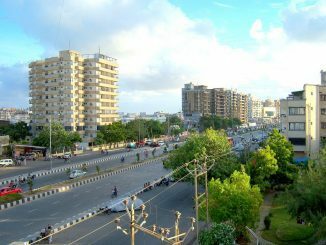 It was a cumulative Innovative Idea Award, City Award and Project Award that lauded nine other smart cities, but not the global topper, Bhubaneswar. Only those projects and initiatives, “which (had) started delivering results, would be considered,” explained a housing and urban development department official. 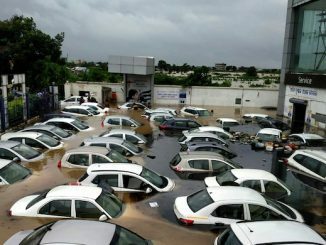 A month later, in July, rains ravaged the Odisha capital and submerged it, exposing the raw underbelly of weak urbanisation and a faulty drainage system. 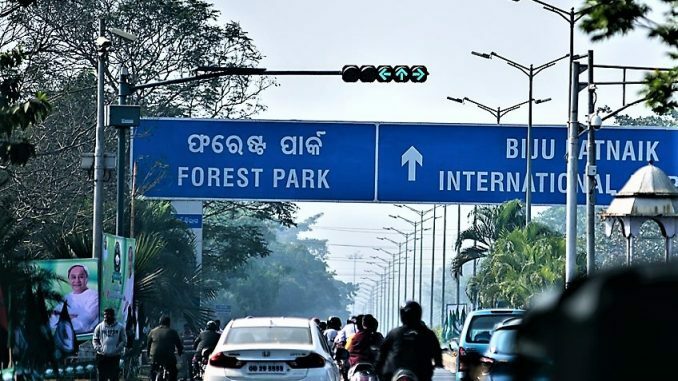 The irony, though oft-seen, is stark and raises the inevitable question: Is Bhubaneswar really a smart urban model or is it just a smart and ambitious idea? Has urbanisation pulled the city down, instead of giving it a boost? The truth, as always, lies in between. Smart cities are a smart idea, but both planning and implementation have been sporadic. Firstly, in Bhubaneswar almost 90% of the budget is allocated towards Area Based Development, which entails retrofitting, renewal and extensions in 985 acres of the city, identified for development as Bhubaneswar Town Centre District (BTCD). This includes projects related to infrastructure engineering and building development, slum housing, green and park areas, road development and accessibility. The remaining budget is for Pan City Initiatives: Technology for traffic, transit, parking, emergency response and incidence management, digital payment through Common Payment Card System, Enterprise Resource Planning and e-Governance for four city-level organizations. Thirdly, there is a social thrust, to include equity — equal accessibility and enhanced economic opportunities through education, capability building and awareness creation. However, these efforts will remain limited to the BTCD area for now. Hence, Bhubaneswar may well be called a model ‘Smart part-city’. Bhubaneswar Smart City Limited (BSCL), an SPV formed to implement the smart city proposals, handles planning, management and operation of its departments. The rules are implemented under the Bhubaneswar Municipal Corporation (BMC). While putting its plan into place, the BMC also conducted some public campaigns in order to understand what the people really wanted. Three lakh aspired for upgraded urban transport and mobility systems, while two lakh asked for drinking water supply reforms and improved waste and energy management measures. Other citizens wanted open spaces and heritage hubs. The work in progress includes building up the BTCD model area for better urban mobility and waste management. Cycle tracks are included in the town’s centre as well as open cycle rental centres. Other schemes being implemented in the city include management of drinking water and sewerage under the ‘Atal Mission for Rejuvenation and Urban Transporation’ (Amrut) scheme. There are 565 buses connecting 67 wards in Bhubaneswar. Now the attempt is to upgrade and improve the service under the Atal Mission, with IT-backed transport solutions, e-mobility and the like. There is also an attempt to push non-motorised transport. Pedestrian-friendly traffic signals, open spaces and eco-friendly parks, safe refuge points for women, five surveillance cameras at 26 traffic junctions and an online parking ticket system at three multi-level parking lots are also in the plan. It is perhaps too soon to assess whether Smart City Bhubaneswar has been a success story, but at this point it calls for an assessment of what has been achieved and what remains to be done. For instance, the city received the Pierre L’Enfant International Planning Award from the American Planning Association for having shown public outreach and citizen-driven vision by using technology for better access to city services. However, only a limited number of citizens, communicating through high-tech media such as social forums, SMS, online surveys, cultural festivals and educational institutions, were actually involved. The engagement of marginalised and poorer sections within urban limits was not considered at all. In the global index, Bhubaneswar is ranked 13 on Safety and 20 on the parameters of Mobility, Health and Productivity. Let us take a look at what has been achieved on these fronts. Safety: Bhubaneswar is ranked 13 on Safety. Yet, the crime rate has shown a rate of increase in the past three years. A recent study by ActionAid titled ‘CityMakers in Bhubaneswar: A Study on the living conditions of Homeless in Bhubaneswar City’, showed that there are 6,559 homeless people, which is certainly not conducive for safe living. 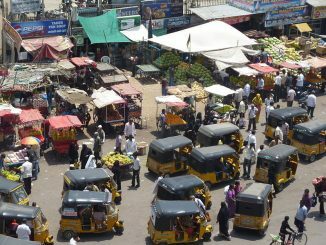 Mobility: Some positive steps have been taken to implement an integrated and sustainable urban transport system, including a low-carbon mobility plan and e-rickshaws before the end of the year. However, these are still at the planning stage, and Bhubaneswar continues to be called the city of bad transport by a number of commuters. Health: BMC Commissioner Krishan Kumar said that the main focus of Smart City is to be “more children-and-elderly-friendly”. However, most of the homeless sleep and defecate in the open. This year, the Chief Minister announced a number of health schemes, but activists from Jana Swasthya Aviyan charged the government of broadcasting without “adequate doctors, diagnosis centres, infrastructure and adequate supply of free medicines”. This would not help to improve things, but just support “vested interests in health sector,” they said. Last May, the city also “failed” the Swachh Survekshan process, and the state government seemed to have not ensured efficient sanitation, garbage collection and establishment of solid waste treatment plants. Productivity: Bhubaneswar is thought to be among India’s first planned cities and the only Tier-2 town to host the top five IT companies of the country, Infosys, Wipro, Tata Consultancy Services, Tech Mahindra and Mindtree. World Bank calls it the third best place to do business in India. Some high-investment projects have been taken up. A few skills development centres and micro-business incubators have also been set up. However, many of these projects are limited. This year, 85 lakh are jobless and the unemployment rate increased to 6.77 per cent against 4.7 per cent last year. The state was ranked 7th among the top 10 major states in the country with high unemployment rate, in the first quarter of 2018.